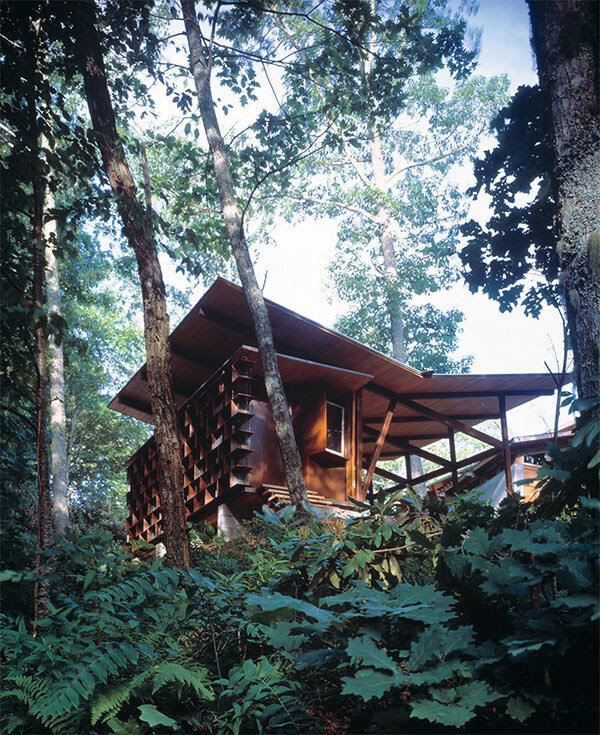 In 1998, June Moore wanted to add two structures — an apiarian structure for the purpose of processing and storing honey and a carport/outdoor work area. 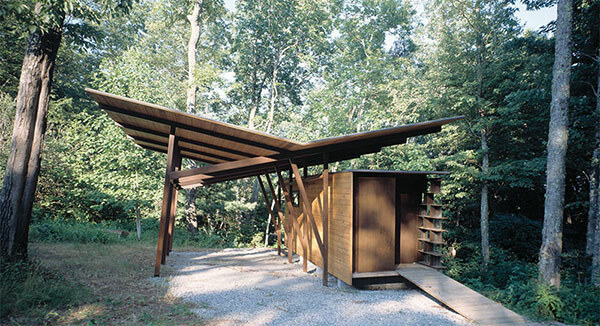 The inverted metal wing roof of the carport is a counterpoint to the roof forms of the existing June Moore House. 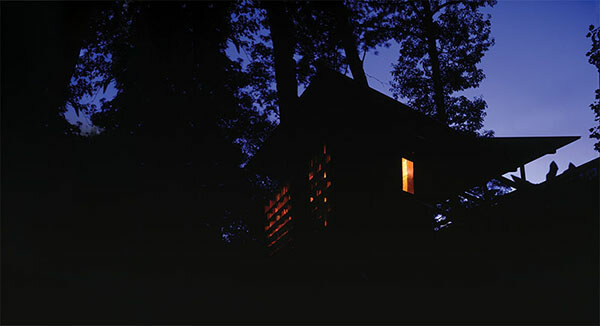 The Honeyhouse is a modern four-sided hive box organized as a series of shallow orthogonal frames that articulate and separate the brood chamber below from the "super" (honey chamber) above. 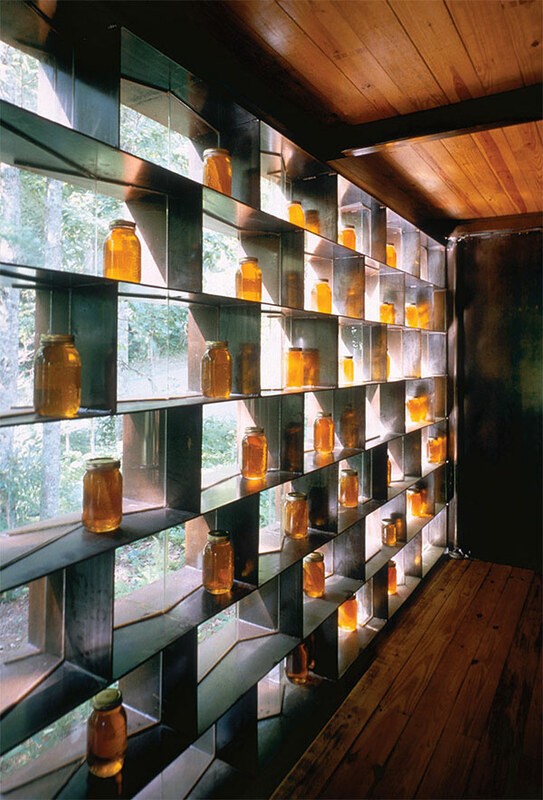 The structure’s single most prominent and complex architectural element is a unique load-bearing steel plate and faceted glass wall that acts to organize the storage and display of honey, filter natural light, and provide a rich mosaic of reflections of the surrounding foliage. The multiple spatial configurations within the wall exhibit conditions of transparency, translucency, and opacity, depending upon one’s perspective, the season of the year, and the time of day. The wall is both frame and edge... a frame that reorders the view, an edge that becomes the view.